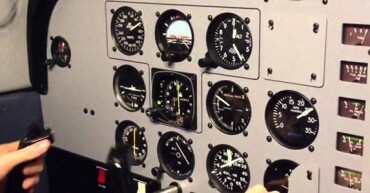 Gateway is the leading Insurance Flight Training Facility in St.Louis. Most insurance underwriters require a minimum experience level for pilots moving to faster, heavier, or more complex aircraft. We will work with a pilot and tailor training to meet insurance requirements and provide the pilot the flight skills needed. Gateway Flight Training provides Professional Management, Flight Training, and Crew services for corporate and private aircraft. At Gateway, we have carefully selected our associate aviation professionals to provide maximum safety and comfort to our clients. Pilot and Crew training may be conducted at the client’s office or airport or at the Gateway Flight Training Facility at St. Louis Creve Coeur (1H0) or St. Louis Spirit (KSUS). Gateway facilities provide training, relaxation areas and hangar space for most client furnished aircraft. Gateway instructors are professional aviators. Experience is the key to quality education. Gateway Instructor Pilots are highly experienced ATP rated professionals. Gateway Instructors have held positions as airline company check airmen, chief pilots and military flight leaders. Welcome to Gateway Flight Training LLC. Subscribe now and receive periodic newsletter with flight training updates, special offers, interesting posts and much more! and business is a must for industry growth. While planning a trip to Alaska in my Navajo Chieftain I did Instrument Proficiency Training with Gateway Flight Training. My Gateway Instructor worked with me to improve my instrument skills. The training I received paid off when I got a hold and an Instrument approach with no radar service. My Gateway training made the difference. My TBM 850 is a beautiful airplane and quite a step up from my previous Turbo Prop. The Instructors at Gateway have made the Initial and Transition training a pleasure. I can truly say that I am comfortable in my new aircraft due to the training I have received at Gateway. Thank you. I am a local VFR Private Pilot. I fly a Piper Arrow. The Gateway Instructors have helped me become a more proficient pilot. I now fly more often at night due to my improved skills. Training for a High Performance Endorsement in a 300 hp Cherokee is a challenge. My Gateway Instructor is patient and very thorough. My insurance company required a mentor pilot for my 400 series Cessna Cabin Twin. Gateway mentor pilots flew with me for the required time. My mentor helped me perfect the advanced skills needed to fly a pressurized heavy twin. Thanks, I’ll be back for recurrent training. I was a low time single engine Private Pilot. I trained with Gateway Instructors for my Multi Engine Rating. The training I received helped me pass the check ride with ease. I now fly my own 300 series Cessna Twin. While training for an Instrument Rating with Gateway I immediately knew there was a difference. My instructor Bryan brought the application of real world flying into my training. I passed my check ride and recently finished High Performance Transition and an Instrument Proficiency Check with Gateway.